Äntligen kan vi lägga landslagsuppehållet bakom oss och återigen fokusera på Premier League. I säsongens första match på Anfield ställs vi mot de regerande mästarna från Leicester. Fjolårets succélag har inlett säsongen på samma sätt som oss, med en vinst, ett kryss och en förlust och befinner sig således kring oss i tabellen. Jim Knight(@JimKnight88) följer laget noga och brukar bland annat prata om dem i @EPLRoundtable. Här kan ni se vad han har att säga om laget och hur han ser på kommande säsong. Vi får dessutom en liten rapport kring en vänsterback som vi nog trodde skulle ha landat i Liverpool vid det här laget. 1. Lots of clubs all over the world has been inspired by your league title, how does it feel to support a team who has made other teams believe in succes? How proud are you? A: It still feels like something of a dream, really. I’m not sure if it will ever sink in properly. I’m sure I speak for most of the supporters when I say we’re so proud of the team and what they’ve achieved. The whole city is involved too, pictures of the players are everywhere, the museum has an exhibit celebrating last season and it’s brought the community even closer together. I feel extremely lucky to have witnessed it first-hand. 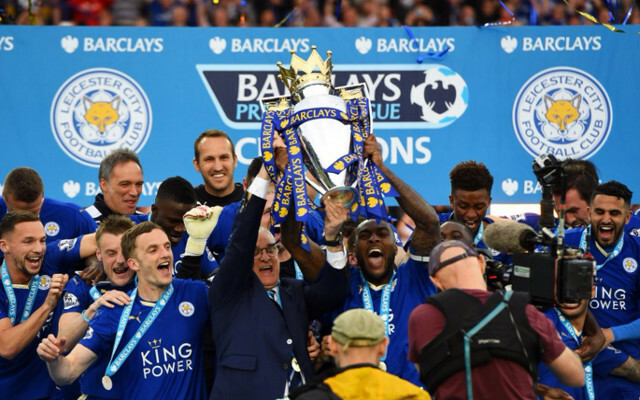 Winning the Premier League is something most clubs only dare to dream about so it’s fantastic that Leicester have shown it is possible, albeit it’s very unlikely to happen again it’s fantastic that we could prove the inspiration for another team attempting to do the same. 2. What do you expect of this season, would you be satisfied if you ended the season on the top half of the table or do you want a title challenge? A: A top half finish would certainly be acceptable for me personally. Given the extra games in Europe you’d have to expect normal service to be resumed at the top of the table, especially given the new managers and huge new signings. That said, I think Leicester will continue to surprise people who believe we were ”one season wonders” and I wouldn’t be surprised if we picked up a Europa League spot this season. 3. The transfer window just closed, are you happy with the players coming in? A: It’s tough to judge the likes of Islam Slimani and to some extent Ahmed Musa until we’ve seen a bit more of them on the field but the signs are positive. We’ve built upon the foundations that we set last season and the players we’ve signed seem to fit that work ethic and ethos that has been established. It seemed more a case of adding to the depth of the squad without disturbing the balance, we needed players who would fit in on and off the pitch. It’s exciting to see players arrive with Champions League experience, too. That’s hopefully something that will pay dividends over the coming months. 4. Both Vardy and Mahrez where surrounded by rumours but decided to stay at Leicester, what do you think convinced them to stay? A: Huge new contacts obviously help! In Vardy’s case I think he feels he owes Leicester for believing in him when few others did and he looks likely to be at the club for the foreseeable future now. Mahrez is a little different, the guy clearly wants to play for Real Madrid or Barcelona at some point so perhaps he feels that move will come next summer, perhaps he didn’t get the calibre of offer he was expecting during the window. We’re certainly delighted that he chose to stay and we get to see him compete in Europe, though. 5. Will we see a different Leicester this year or do you think you will play in the same way as last year? A: All the early signs are that 4-4-2 is still the way to go. It makes sense that we wouldn’t remodel things too much given how successful we were last season. That said, I think we do need something of a ”Plan B” as teams are unlikely to be as attacking against us as they were last term. Perhaps a 4-3-3 to stretch those defences who sit really deep could be an option now we have even more firepower up front to work with. 6. There where lots of talk about Ben Chilwell to Liverpool this summer, he ended up signing a new contract, what can you tell us about the player we missed out on? A: Ben is probably the brightest prospect to come out of the academy since Andy King. He’s shown a fantastic maturity for his age when he’s been given the chance to play in the first team and we’re delighted that he sees his long term future at the King Power. He’s quick, strong on the ball and has a great awareness of where he should be. As with most modern full backs his delivery is usually pretty good, too. He looks the natural successor to Christian Fuchs when he moves on, likely to be be at the end of his current deal. I’d expect to see plenty of him in the domestic cups and perhaps even the Premier League as the season goes on. 7. What are your thoughts about Liverpool and Klopp, do you think we can get a place in the top four this season? A: The top four is tough, it’s so competitive this season. That said I do think Liverpool have a massive advantage in terms of the league thanks to no European football. Along with Chelsea that could be a big plus point as the other top clubs are playing twice a week. We all saw how they went so close under Brendan Rodgers a few years back. Klopp is blockbuster, he’s fantastic to watch and listen to and I think most non-Liverpool fans feel the league is better off with him in it. The high intensity football usually provides plenty of entertainment so there’s unlikely to be too many dull moments with him at the helm. A long term contract is encouraging and if the board give him time and resources then I do believe Liverpool could compete at the top of the division again. Får TRO att Klopp instruerat våra spelare att lura upp ett hemåtbackande lag.